December 12, 2016. KDE today announces the release of KDE Frameworks 5.29.0. This release includes Prison, a new framework for barcode generation (including QR codes). FreeBSD was added to metainfo.yaml in all frameworks tested to work on FreeBSD. 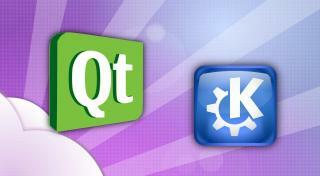 The complete source code for KDE Frameworks 5.29.0 may be freely downloaded. Instructions on compiling and installing KDE Frameworks 5.29.0 are available from the KDE Frameworks 5.29.0 Info Page. Building from source is possible using the basic cmake . ; make; make install commands. For a single Tier 1 framework, this is often the easiest solution. People interested in contributing to frameworks or tracking progress in development of the entire set are encouraged to use kdesrc-build. Frameworks 5.29.0 requires Qt 5.5.